It’s no secret that I have a weakness for paper dolls and I’m not afraid to tell anyone who’ll listen that I LOVE my iPhone. So how can I resist the Paper Town Friends iPhone app? 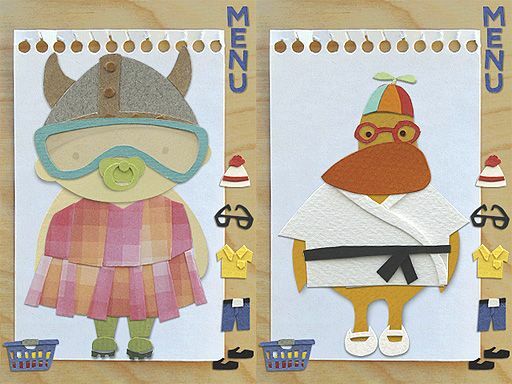 Paper Town Friends is sweet paper doll fun made for the iPhone. With more than one hundred and eighty clothing items to mix and match, pre-schoolers will spend a lot of time playing with this app. If dressing a duck in a silver fringed flapper dress and oversized shades isn’t the look your tot is after then simply dump the ‘clothes’ in the linen basket and start over. 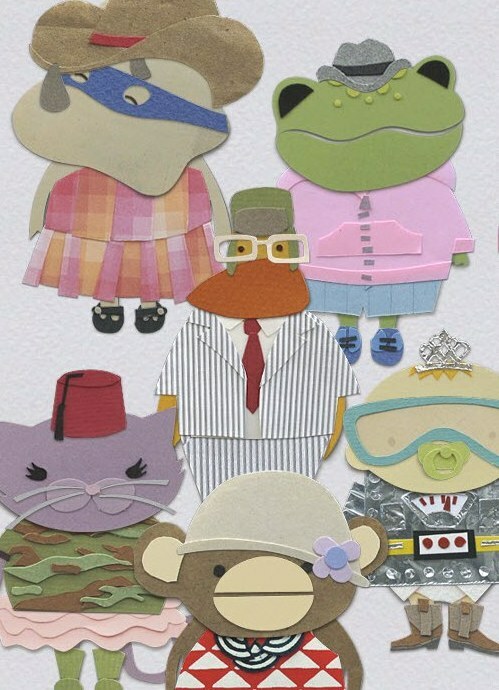 Choose from hats, sunglasses, tops, pants, skirts and shoes for six different cute characters. Despite all the options available, my three-year-old daughter keeps coming back to the 3D glasses teamed with a floral bikini and pink cowboy boots – I know this because she has learned how to save all her creations and I have lots of ‘photos’ of the Paper Town Friends on my camera roll! The characters and the clothing have a beautiful three dimensional quality. Patterned papers and silver foil are layered to give the clothing texture and incredible detail – pleated skirts, slogan t-shirts, neckties tucked behind jacket lapels, ruffles, pockets and more. Choose the outfit by simply scrolling (scary how quickly kids have picked up the scrolling command!) and enjoy the satisfying rustle of paper as the character gets dressed. Paper Town Friends is priced at $2.49 and is available from iTunes. 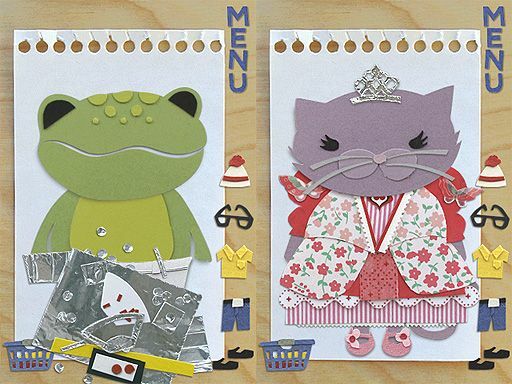 For more posts on paper dolls look here and for more on iPhone apps look here.